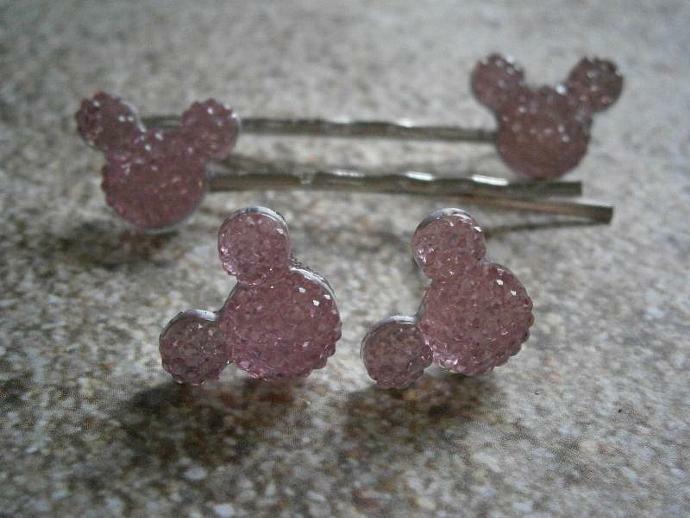 Very cute pink resin Mickey Mouse shapes on a matching set of earrings and bobby pins! 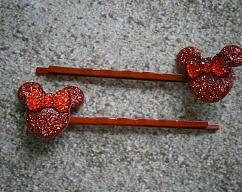 Nice and small, so perfect for little girls! 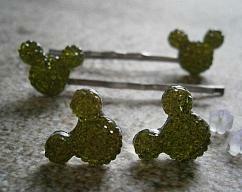 The texture of the mouse shapes give them a sort of sparkly/glittery finish! 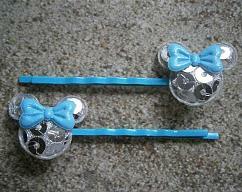 Silver-tone bobby pins are curved for comfort and have ridges to help hold them in place. 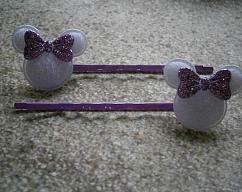 These bobby pins measure approx 1 7/8" in length, and Mouse shape is about 1/2" x 1/2".